Can deep learning change the way we interact with our environment? Navigation systems typically assist drivers to find the shortest or fastest path between locations using time or distance as input parameters. However researchers have extended traditional route planning approaches by adding in user preferences, like enjoying coastal views or alpine landscapes during a drive. Current approaches mainly rely on volunteered geographic information (VGI), such as point of interest (POI) data from mapping apps, or social media data, such as geotagged photos, to generate scenic routes. While these approaches use proximity, distribution or other spatial relationships of the data sets, they do not take into account the actual view on specific route segments. At the RE•WORK Machine Intelligence Summit in Berlin, Johannes Schöning, Professor of Computer Science at Hasselt Universit, will highlight a novel system for generating scenic routes, using Google Street View images to classify route segments based on their visual characteristics, and enhancing driving experiences. 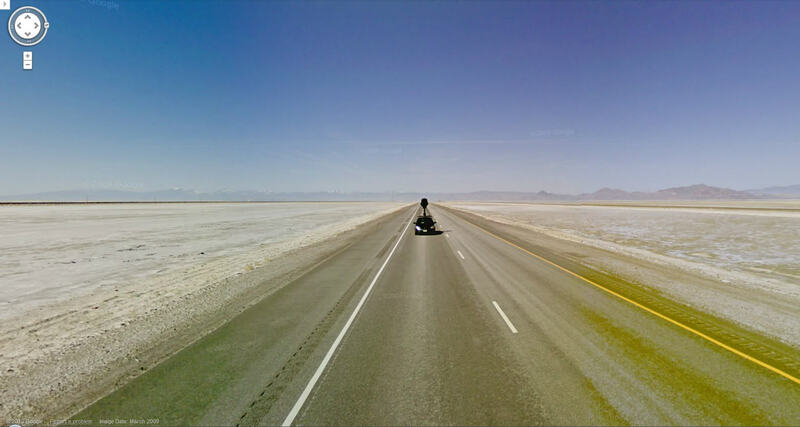 At the Expertise Centre for Digital Media (EDM), they have created an automated system (named Autobahn) that crawls Google Street View images alongside routes and tags, and classifies these images using deep learning. I caught up with Johannes ahead of the summit to hear more. What is your role at Hasselt University? What are you currently working on? I am a professor of computer science at Hasselt University working at the EDM. My core research is situated in the area of human-computer interaction (HCI) with strong links to the field of intelligent user interfaces (IUI) and aims to improve interactions by combining methods from computer vision (CV) and artificial intelligence (AI). In my research group we design, implement and evaluate user interfaces that help people to solve daily tasks more enjoyable and/or effectively. What are the key challenges you are working on to advance HCI? We are concerned improving interaction with spatial / context-aware services as we have seen a recent rise of context- as well as location-based mobile services. Finally, those services entering applications and adding features to mobile operating system to make everyday user interactions handier. Nevertheless, those services still have certain limitations, such as lack of certain data types that limit them to exploit their full potentials. As said, our research, situated in the area of HCI with strong links to the field of IUI, aims to improve interactions with spatial context-aware services by combining methods from CV and AI. What do you feel are the leading factors enabling recent advancements and uptake of machine learning? All subdisciplines of computer science contribute to the recent advancements and uptake of AI and in particular ML. Therefore, it is hard to tell the contributing factors apart. Nevertheless, I believe, that since AI now reaches the hands of end-users, the uptake will continue. For example, with Siri and Cortana, people now have amazing AI power right at their fingertips. But we should keep in mind that the current hype about more complex ML technology does not necessarily mean we can solve “all problems”; especially in environments with limited data, simple techniques frequently outperform more complex ML techniques. AI and ML are not suited to solve all kinds of problems. What present or potential future applications applications of AI excite you most? What developments can we expect to see in next 5 years? I expect to see machine intelligence in areas, where we humans typically still outsmart machines. Even so these problem space are still “rather small” and “closed”, I enjoy reading about work in the field of Computational Creativity, in which researchers try to construct computer programs or applications capable of human-level creativity. Tickets are limited for this event, book early to avoid disappointment! We are holding summits focused on AI, Deep Learning and Machine Intelligence in London, Boston, San Francisco and Singapore - see the full events list here.